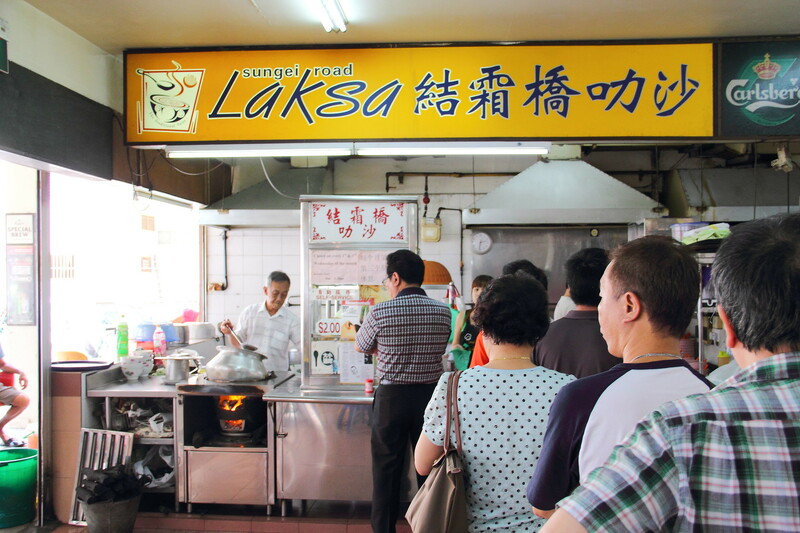 Laksa is one of Singaporean's favourite local hawker dish. 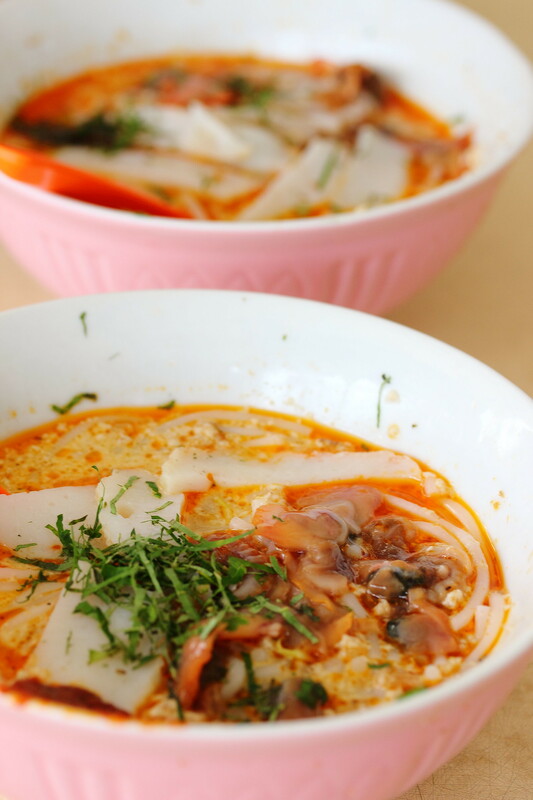 It is a noodle dish in curry gravy that you can find in almost every food centres or coffeeshops. 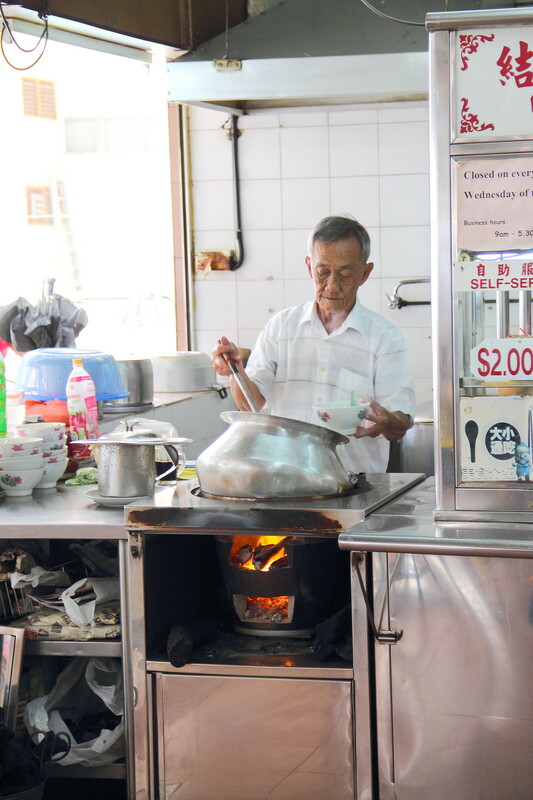 However, Sungei Road Laksa (结霜桥叻沙) is probably the only one left that still insists in cooking their laksa gravy over charcoal fire. When I reached the place, there was already a snaking queue. While I was patiently waiting for my turn, I observed that the little humble actually has a system. First one person with take the order, a second person will add the ingredients to the bowl of noodles and lastly the uncle will cook the bowl of laksa with the gravy. 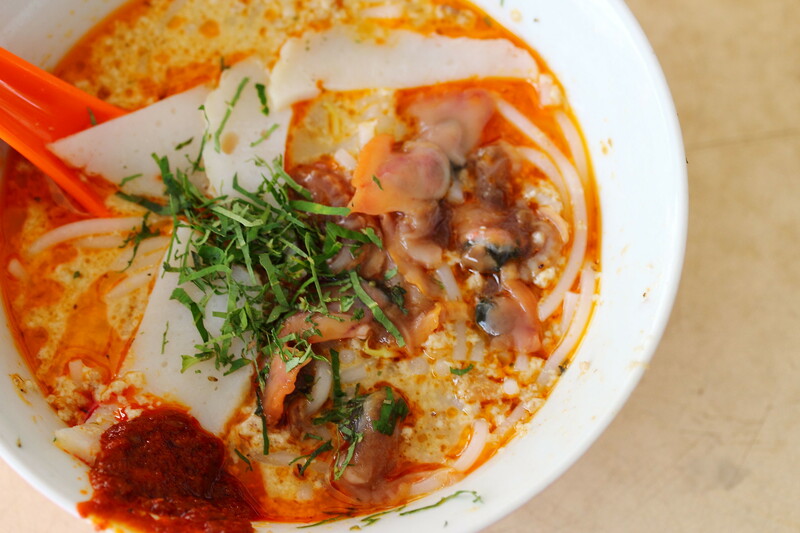 Another unbelievable thing about Sungei Road Laksa is that a bowl of laksa only costs $2. Where to find nowadays with the high cost of living. Actually the portion is quite small. I can easily finish 2 bowls of it at one go. If you think that seems a bit greedy, then upsize and get the $3 bowl. The laksa here is served with only a spoon. You do not need chopsticks as the thick rice noodles were already cut into smaller strips for easy consumption. The gravy itself was not too lemak and spicy. I also can taste dried shrimps in the gravy, giving it the extra aroma. Topped with slices of fishcake, beansprouts, cockles and laka leaves, this is definitely one of the best laksa I have ever eaten for a long while. It is worth queuing for it. They've moved to 145 jalan berseh as of June 2015. It's a smaller coffeeshop at hindoo road, diagonally across jalan berseh hawker centre. accordingly to another reader that commented, it has not moved. Thanks for the update Alan. 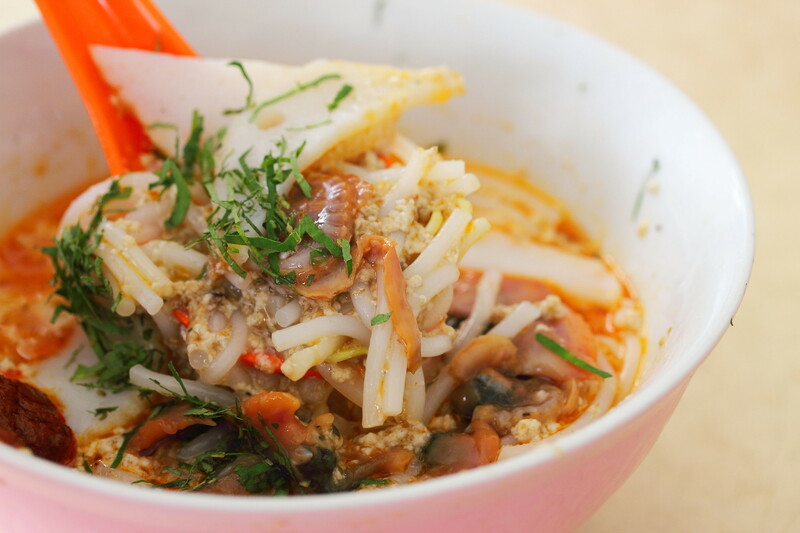 Yin Yin, do you know where the 31 Sungei Road Laksa moved to? They seemed to have closed from the Hindoo Road corner coffee shop in July, 2 months after they moved there.